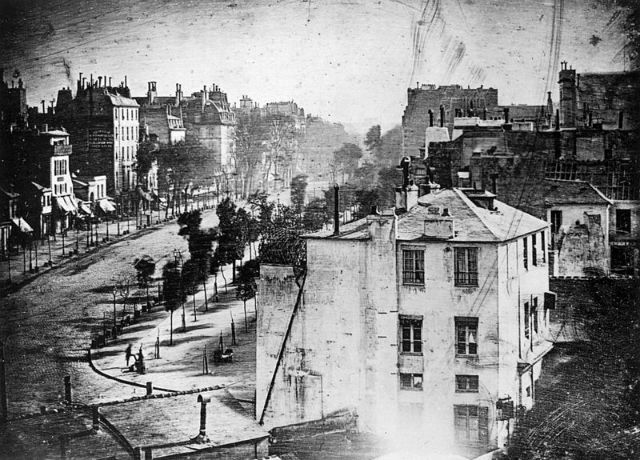 This photograph by Louis Daguerre, of a street in Paris, was captured in 1838. On a close look, a man can be identified in the lower left corner of the photograph. The man seems to be getting his boots cleaned and the boot cleaner is also identifiable. Even though this goes unnoticed in a swift glance at this old and smudged photograph of a strangely deserted city, close observation reveals that this is probably the first photograph featuring a human. Clicking selfies has emerged as a trend lately. An important aspect considered by mobile phone companies is upgrading the front camera. But are selfies or the self – portraits really a new invention? Seems not! 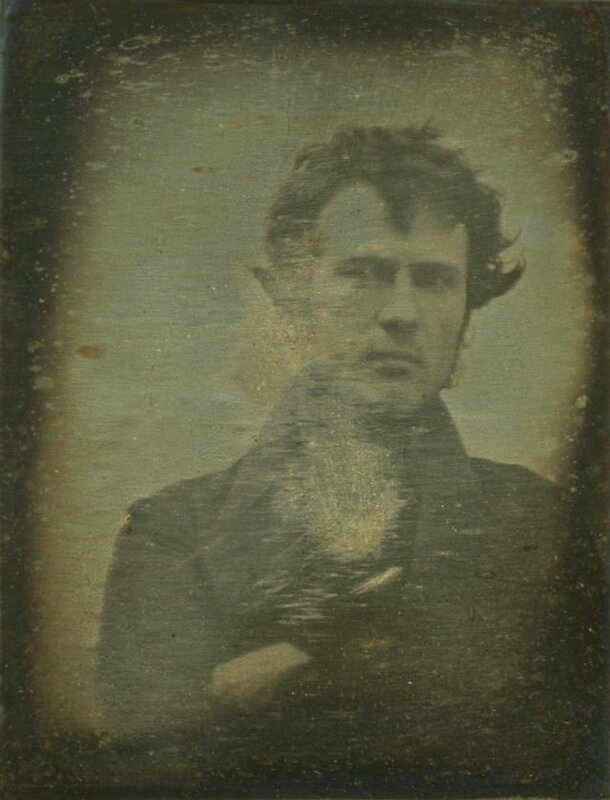 As early as 1839, a selfie was clicked by Robert Cornelius. The method used was daguerreotype. This method has been named after a famous early photographer, Louis Daguerre. This self – portrait is generally accepted as one of the oldest photographs in the form of human portraits. Also, it has been written on the paper that this portrait is the first light picture to ever be captured. 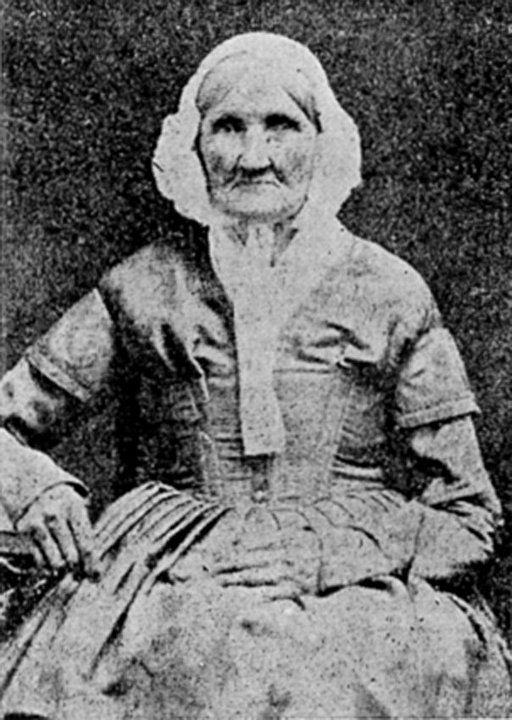 This is a portrait of Hannah Stilley who was born in the year 1746. What is, even more intriguing, is the fact that she was 30 years old when America came into existence! Though the original daguerreotype of this portrait has been missing, it is printed in a 1936-book by Alva Gorby, ‘The Gorby Family, History, and Genealogy’. She was photographed in 1840. Though it certainly appears photographic, it is referred to as a daguerreotype in Gorby’s book. The first US president to be clicked was John Quincy Adams. His portrait was captured in the year 1843. 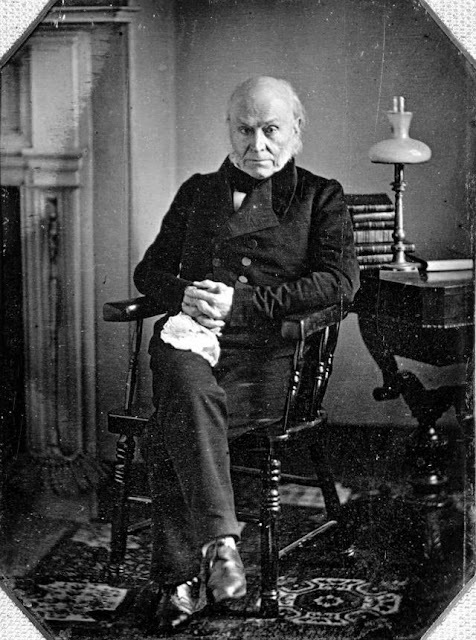 Quincy Adams served as the sixth president of the United States of America and held office from 1825 to 1829. At the age of 76, when he was not the sitting president, a daguerreotype of Adams was made. The portrait was photographed by Philip Haas. 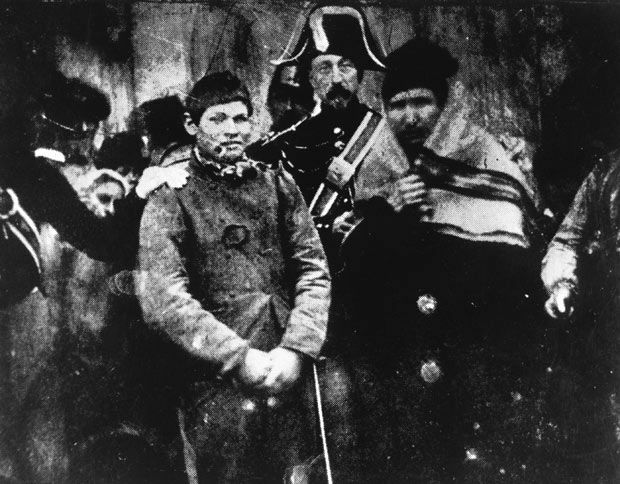 This daguerreotype of an arrest in France was made in the year 1847. It is reportedly the first ever news related photograph. This daguerreotype was one of the oldest photographs to represent news. Today when no news feels complete without a relevant image, it sure is interesting to know where this trend evolved from. 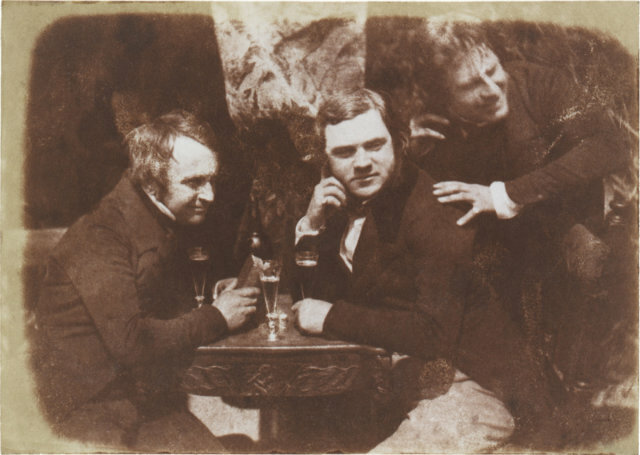 This photograph dating back to 1844 is the oldest photo displaying people drinking. Octavius Hill is present on the right of James Ballantine and Dr. George Bell. They were probably sharing a joke along with the drink when captured. Three ‘ale flutes’ (drinking glasses of the 19th century) and a beer bottle take center stage on the table! The true advantage of the technology of daguerreotype was taken on April 2, 1845. On the day, Louis Fizeau and Leon Foucault, two French physicists successfully photographed the sun. An exposure of 1/60th of a second was given while clicking this photograph. 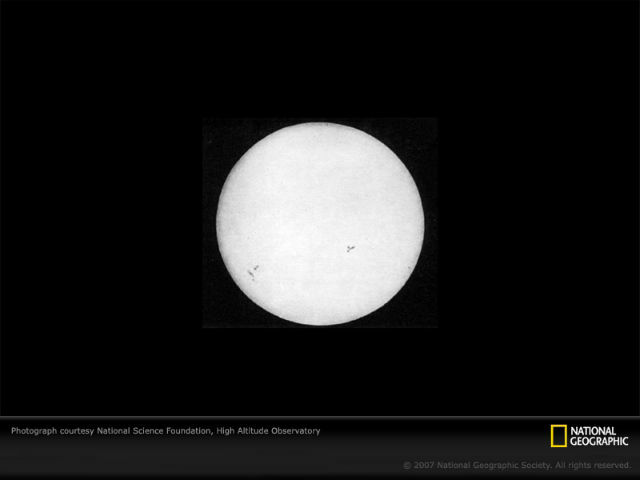 This was one of the oldest photographs of the sun. 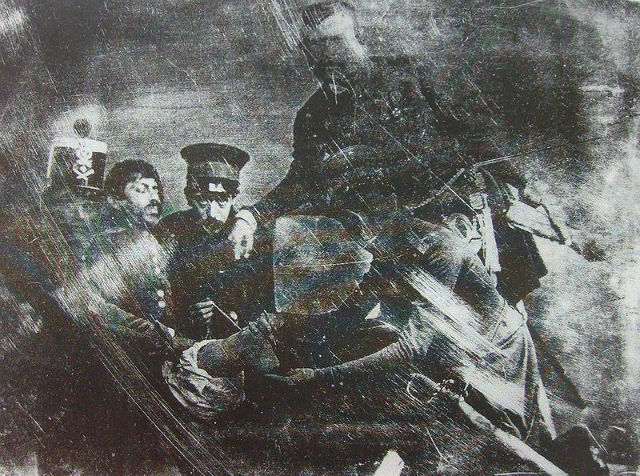 This photograph captured on April 18, 1847, shows Seargent Antonio Bustos leg being amputated. This was performed by Pedro Vander Linden, a Belgian surgeon. The surgeon holds the amputated leg. This amputation was reportedly performed during the Mexican – American War. The image is considered the first daguerreotype of a leg amputation being performed in the battlefield. 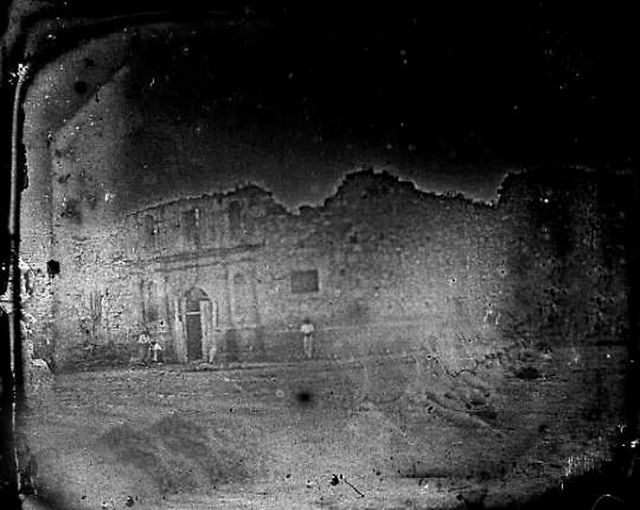 This 1849 Daguerreotype is claimed to be the oldest available photograph of the Alamo chapel. It is a rare image of the Alamo façade and is internationally recognized as a historically important image. This photograph was probably captured before the Alamo was repaired and rebuilt in the year 1850 by the US army. During the renovation, the appearance of the structure was altered in many ways. These changes included the addition of a distinctive curved gable which is located on top of the church front and is also one of the most renowned features. The photographer of this historical image remains unknown. If you consider the mesmerizing aerial views of landscapes to be a new thing, think again! 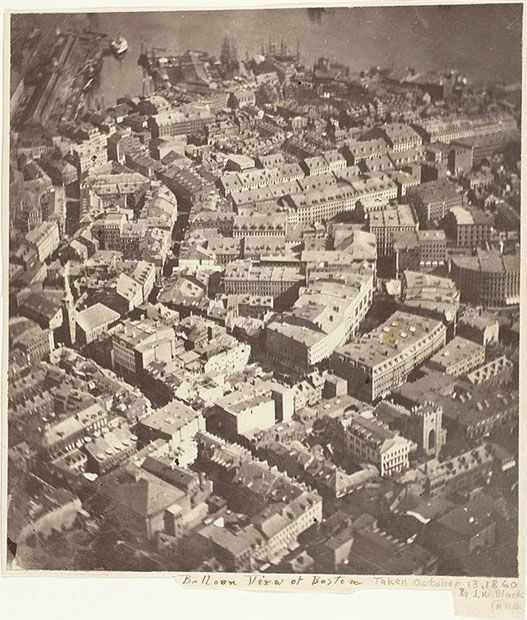 This photograph of Boston was captured in the year 1860 from 2,000 feet, by James Wallace Black. After the first photograph clicked in 1826, it took 30 long years for an individual to unleash creativity, and combine photography with flight for this amazing view of Boston. This is one of the oldest photographs of an England Football team and has been discovered 132 years after it was clicked. In this image, we can see B.G. 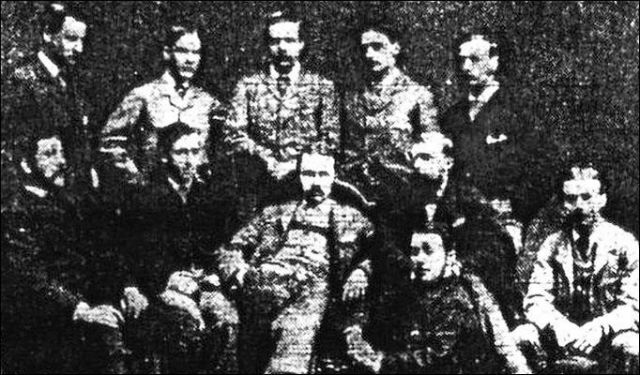 Jarrett (sitting on the floor); F. Heron, E.H. Bambridge, H. Heron (captain), J. Turner (umpire), A.H. Savage (Front row, right to left); W.J. Maynard, F.T. Green, W.S. Buchanan, E. Field (Back row, right to left). This image features the early superstars of football in their glory, before the fifth international match of England on March 4, 1876. It has the 10 players with the umpire posing for a star – studded photograph. 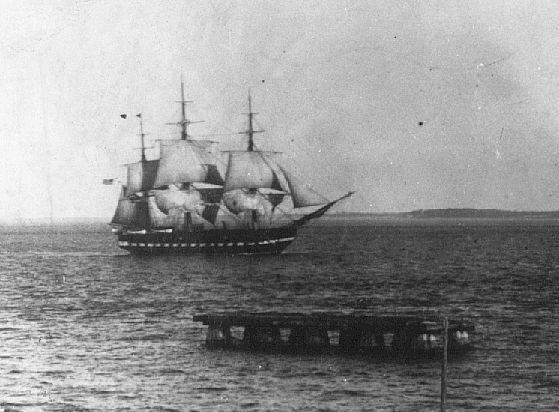 This is the oldest known photograph of a USS Constitution ship under sail. It is reportedly a photograph dating back to 1881. The original is available in the USS Constitution Museum Collection. USS Constitution is known as a builder of some of the most beautiful ships that ever set sail. 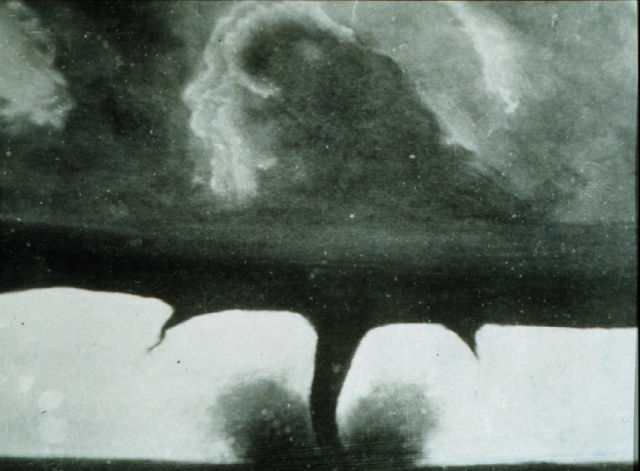 This photograph, taken at Garnett on April 26, 1884, seems to be the oldest of a tornado. Probably it has been altered from the original form. Such early photographs were also a motivation for the storm chasers who would then follow for a great click. This image is an albumen print of the Ikeda Nagaoki Japanese Mission members when they were on the way to Europe and visited Egypt too. 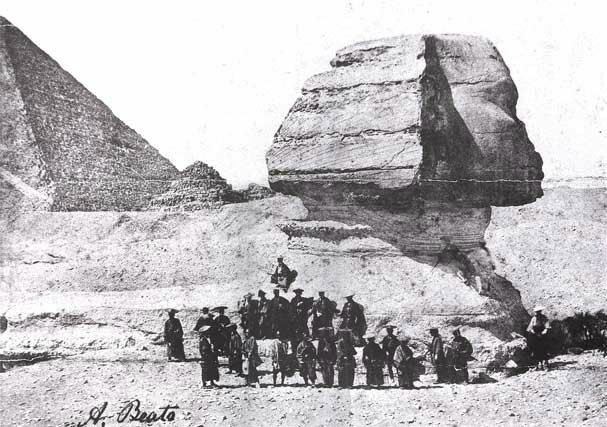 It was clicked in front of Sphinx, Egypt in 1864. This is a great early shot of the Great Sphinx of Giza. The face of this sphinx is believed to represent Pharaoh Khafra’s face. The nose was probably broken before this image was captured. This mission returned to Japan on July 22, 1864, in failure. The United States of America is credited with being the first county to use photographs on passports. This was made essential in 1914. The same was then followed by the UK and consequently all other nations. This is the image of a US passport which is dated March 2, 1915. 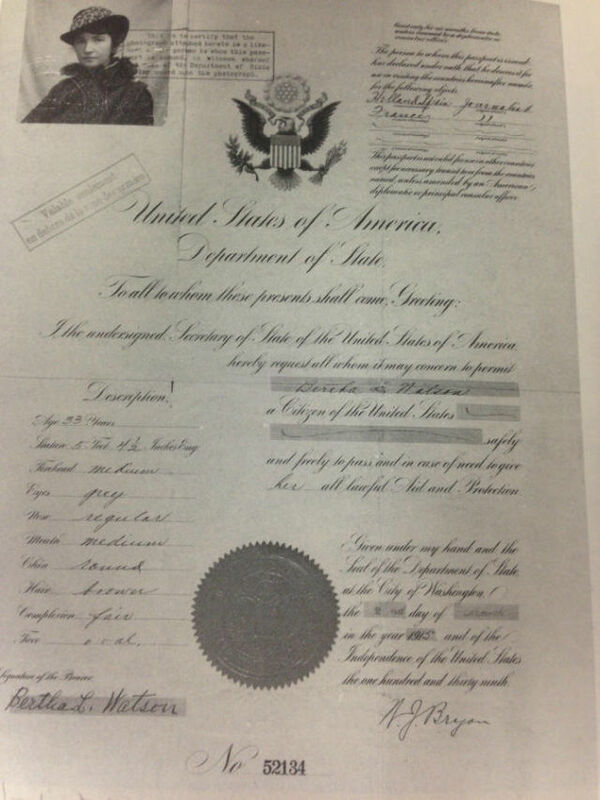 It is the passport with the earliest photograph which has been identified so far. It represents Margaret Sanger, travelling under the pseudonym of Bertha L. Watson.